Invisalign Teen are another version of Invisalign braces which have been designed especially for teenagers. Invisalign braces have proved to be so popular throughout Maidenhead, Windsor, Sunningdale and the rest of the U.K. that these clear braces for teeth have been created just for teens. How Do Invisalign Teen Braces Work? Like the other Invisalign braces, Invisalign Teen works by gently moving your teeth into the correct position through a series of clear braces. A set of removeable aligners are custom made for your teeth by your orthodontist and will be replaced by a new set of braces every two weeks. 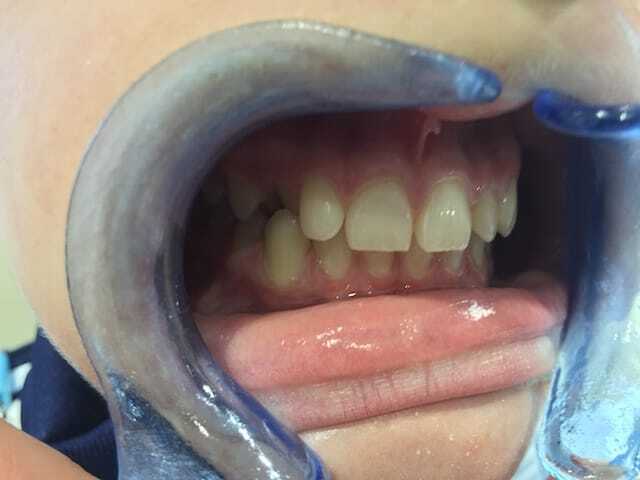 The end result is beautifully straight teeth! The Invisalign Teen has a blue indicator which fades as you wear the aligner to ensure that you’re wearing it for the specified 20 to 22 hours a day. 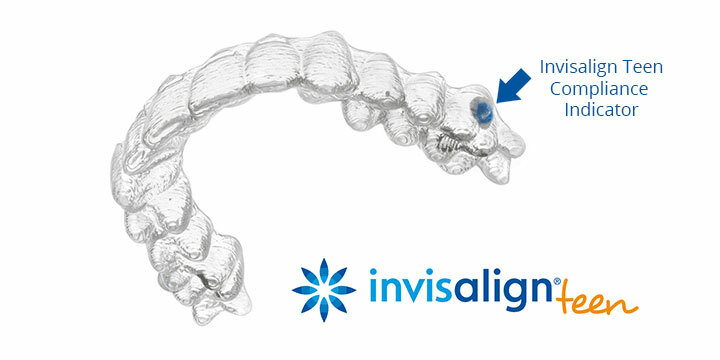 The Invisalign Teen has been designed to leave some space for the growth of adult canine and molar teeth. The Invisalign Teen braces includes six free replacement aligners in case any go missing during your treatment. Book a free appointment to find out more about Invisalign Teen braces. 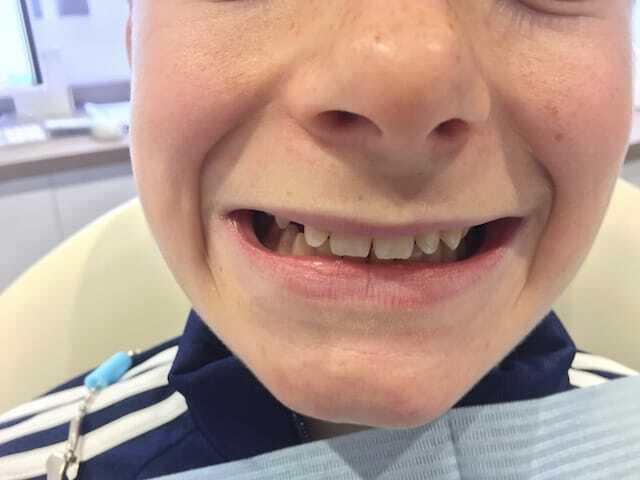 With Ewan’s passion for the stage he didn’t feel metal fixed braces would be suitable for him and wanted a more discreet way of straightening teeth – Invisalign Teen was a great option for him. What is Invisalign for teenagers? Invisalign is the virtually invisible way to straighten your teenager’s teeth without the restrictions that come with metal braces. Instead of metal wires and brackets, Invisalign uses a series of clear, removable aligners that have been custom-made for your teenager’s teeth. They only need to be removed when they eat, drink, brush and floss. Your teenager will simply wear them over their teeth at all other times, and every two weeks will change them for a new set of aligners. Gradually the teeth will shift into place, achieving a confident new smile for your teenager. The practical advantages over traditional braces? With Invisalign the aligners are removable, so your teenager can play sports without the worry of being hit in the mouth by a ball, which can cause real damage to metal braces. 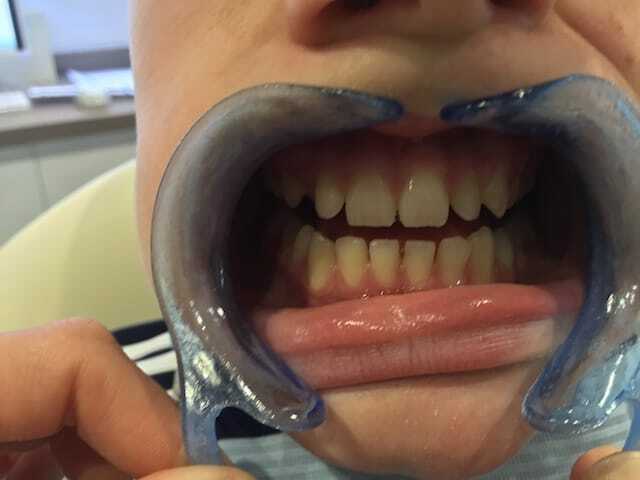 They can also continue to play their musical instruments after removing their aligners (unlike with metal braces where they may get in the way). With metal braces, there is a long list of foods that can’t be eaten, from popcorn to apples and raw carrots. The great news is there are no restrictions with Invisalign. The removable aligners make it easy to brush and floss like you normally would to maintain good oral hygiene. 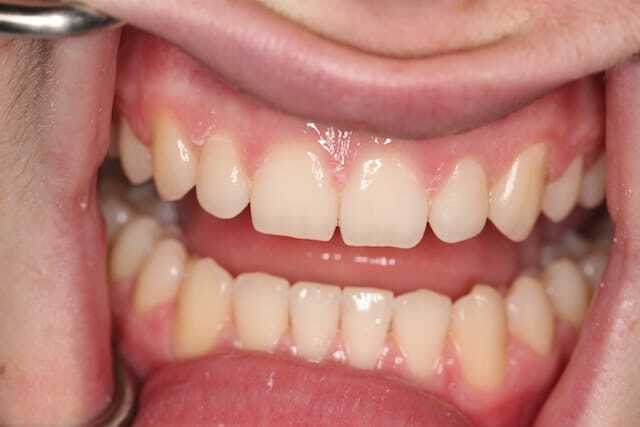 What teeth conditions does Invisalign treat? Invisalign can be as effective as traditional metal braces for the most common teeth straightening issues. Invisalign can effectively treat mild to severe orthodontic conditions cases, including underbite, overbite, overcrowding and gaps between teeth. The chances of your teenager being a great candidate for Invisalign are very high, but to be sure please book a free consultation first. Copyright © 2019 Smile Rooms. All Rights Reserved. Private Dental Practice in Windsor. Invisalign Teenagers Dentist For Ascot, Bisham, Bray, Eton & Horton.